BUTUAN CITY, July 18 (PIA) – The Department of Trade and Industry (DTI) Caraga is set to hold the 13th of a series of regional conference entitled “Industry Roadmaps and the ASEAN Economic Community (AEC) Game Plan: Roadmap Localization for Competitiveness” on August 4, 2016 at Almont Hotel’s Inland Resort, this city. In her written statement, Industry Development Group assistant secretary Rafaelita Aldaba, bared that the Board of Investments under the DTI is conducting a series of multi-stakeholder conferences in various regions of the country to communicate to stakeholders the opportunities and challenges for the Philippines in the ASEAN Economic Community. “We hoped to deepen the stakeholders’ awareness of the importance of industry roadmaps in the context of regional integration, and encourage them to formulate regional roadmaps that are aligned with the national industry maps,” added Aldaba. Also, during the set regional conference, Dr. Cielito Habito, chief of party of United States Agency for International Development – Trade-Related Assistance for Development Project is expected to share about the Regional Integration and the National Development Agenda, while Dr. Roehlano Briones, senior research fellow from the Philippine Institute for Development Studies will discuss the Agribusiness in relation to the six National Industry Clusters. BUTUAN CITY, July 18 (PIA) – Bannered by the theme, “Juan Science, One Nation”, this year’s weeklong celebration of the National Science and Technology Week (NSTW) slated on July 22-25, 2016 will highlight the science community’s achievements in the different fields of science, technology and research through various fora, and Science and Technology (S&T) fairs and exhibit, among others. According to Department of Science and Technology (DOST) Caraga regional director Dominga Mallonga, the NSTW celebration also aims to bring science and technology closer to the people by letting them experience the vital role of science, technology and innovation in improving the people’s quality of life, protecting the environment, and contributing to national development, particularly in poverty alleviation. “The NSTW underlines the capability of local S&T experts and helps inspire the youth and all other sectors in believing that Filipinos can do it, and that local technology really works,” said Mallonga. Its events and exhibits are the perfect venues for technology developers and investors, as well as S&T service providers and clients, to interact and pursue potential opportunities. The kick-off activity at 8:00 a.m. on the 22nd of July includes a motorcade along the city thoroughfares with assembly area at the Guingona Park in this city. An opening program and a press conference will follow at the atrium of Robinsons Place. TANDAG CITY, Surigao del Sur, July 18 (PIA) – Tandag will host the 22 delegates from the church, human rights, youth and public employees organizations from USA, Canada, Germany, Belgium and Kenya for the media conference for Caraga International Solidarity Mission on Tuesday, July 19, 2016, which will be held at the Surigao del Sur Sports Center, this city where displaced families were temporarily sheltered since September 1, 2015. It was learned that the delegates are expected to visit the displaced families, as part of their continuing international campaign calling for an immediate return of the evacuees to their communities. Beyond performance of duties while holding public office and ensuring appropriate actions to its regular responsibilities, Cong. Ma. Valentina Plaza, 1st district representative of the province of Agusan del Sur, has personally committed her moral obligation of empowering juveniles, especially those who are deprived from parental care and support. This is just among the top priorities that draw her extraordinary interest aside from education, clean water and health advocacies. “Proper growth and development, positive guidance and correct discipline are among the essentials in bringing up a child to make him the best person that he can be. I find great satisfaction of devoting part of my time for these children because they deserve particular regard and support to let them feel their self-worth, helping them build their self-confidence. They too are entitled to learn the valuable life skills – and that is empowerment,” expressed Cong. Plaza. Accordingly, it is also her way of extending more of her services to the community. She usually spent valuable moments with the 17 children housed at the Bahay Silongan, a home for the abandoned children managed by the Missionary Sisters of Our Lady Fatima since 1995, situated in Sitio Dalingdingan, Brgy. Pinamanculan, Butuan City. Just recently, she generously treated them for a free meal and snacks and proceeded to the cinema to let them enjoy and experience the simple pleasures of life by watching a movie. For her, a sincere gesture of kindness and benevolence is one manifestation of love and care especially to the deprived young individuals who needed more of the support. “Nothing is more fulfilling than doling out something out of our own volition to share what we have for the less fortunate people,” expressed Cong. Plaza. Plaza enunciated further that investing attention, nurturance and compassion on the children are keys to raising good citizens. “Thus, it is important to nurture well these kids for them to help build a better nation,” she added. In his excitement and elation, Mark Felizanta, an 11-year old orphan, conveyed a quick display of gratitude by telling how grateful he is to have found his new family. “I used to stay at the streets without minding the scorching heat of the sun, fighting each day to survive. Now, I’m very thankful because I get to experience a normal child life being taken cared of by our house parents,” he said. Meanwhile, Ester Abul, a social worker of the Bahay Silongan disclosed that aside from the home life training such as doing the assigned household tasks, the children are also sent to school for proper education. BUTUAN CITY, July 18 (PIA) – The Regional Disaster Risk Reduction and Management Council (RDRRMC) of Caraga will hold the culmination program of this year’s observance of the National Disaster Consciousness Month (NDCM) on July 29 at Almont Hotels Inland Resort here. Regional director Manuel Luis M. Ochotorena of the Office of Civil Defense and RDRRMC chairperson bared that the culmination program will highlight the Regional Awarding of the 2016 Gawad KALASAG Search for Excellence in DRRM and Humanitarian Assistance. Ochotorena also said the RDRRMC member-agencies and other stakeholders will be given recognition for their support and contribution to the recently conducted DRRM activities in the region in line with NDCM observance and Annual Gawad KALASAG Search. Regional Heads and RDRRMC Focal Officers are expected to attend on the said occasion. TANDAG CITY, Surigao del Sur, July 18 (PIA) - Colonel Isidro Purisima, brigade commander of the 402nd Brigade confirmed during the press briefing conducted on Thursday here that their area of responsibility (AOR) has now expanded to include the two other provinces of the region, effective July 1. "The area of responsibility of 402nd Infantry Brigade has been expanded to Surigao del Norte including the province of Dinagat Islands effective July 1. We took over the area of Task Force Diamond,” Col. Purisima said. The brigade headquarters will still be based in the city, being the center of the elongated areas of responsibility covering three provinces of Surigao del Sur, Surigao del Norte and Dinagat Islands, and the cities of Surigao, Tandag and Bislig, Purisima clarified. Accordingly, two brigades are operating the region, the 401st Infantry Brigade, which covers the provinces of Agusan del Sur and Agusan del Norte, including Butuan City and the 402nd brigade. Purisima revealed that the New People's Army-initiated incidence recorded on the first and second quarters has been reduced compared to the previous year. BUTUAN CITY, July 18 (PIA) - Cops in Caraga on Friday attended the cascading of Project Double Barrel in Brgy. Imadejas here. Chief Supt Rolando Felix, Police Regional Office (PRO) 13 director, together with the city/provincial directors, battalion commander of the Regional Public Safety Battalion 13, chiefs of police, and some non-uniformed personnel attended the activity. Senior Supt. Herminio Tadeo, Jr., Public Safety Division chief of the Directorate for Operations, was the speaker of the cascading. Project Double Barrel is the anti-illegal drug campaign of the Philippine National Police and has two approaches: Project Tokhang and Project HVT/LVT. By Eugenio “Jun” Lira, Jr.
SURIGAO CITY, Surigao del Norte, July 18 (PIA) - The employees of the Philippine Ports Authority (PPA), this city, posted a negative result during a surprise drug test conducted by the PNP Crime Laboratory, said P/Supt Norman Jovita on Saturday. He said the drug-testing activity was conducted on July 14, 2016 at the port agency’s main office inside the Port of Surigao where 25 permanent employees voluntarily submitted themselves for the checkup. “PPA employees were receptive during the drug tests led by Port Manager Mildred Padilla and PP/Supt. Froilan Caturla of the Port Police Division. 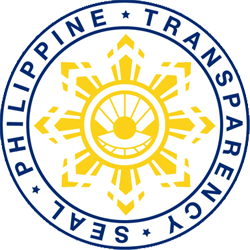 Per records we have, for the entire Surigao del Norte, PPA-Surigao was the first agency belonging to the category of government owned and controlled corporations (GOCCs) to undergo the said examination. Probably, they are also the first GOCC to do so in Caraga Region,” P/Supt Jovita said. Port Manager Mildred Padilla disclosed the drug testing activity was in compliance with the new administration’s directive for the mandatory drug testing of all government employees. “We made the surprise drug tests for PPA-Surigao employees upon the recommendation of PP/Supt Froilan Caturla and everyone in the Senior Staff composed of division managers welcomed it. We’re happy to know the result that all of us were found negative,” Padilla said. PP/Supt Caturla revealed he made the recommendation for the immediate drug tests of PPA officials and employees after three security guards detailed in the port tested positive for the use of illegal substance known as “shabu” during a series of surprise drug tests conducted by the PNP Crime Laboratory on PPA-hired security guards during the period July 5 – 12, 2016. He said that aside from the three guards who tested positive, another three guards voluntarily confessed of being “shabu users” also. “Those guards are not employees of PPA. They were supplied to our office by the security services contractor based on the security contract entered by and/or between PPA-Surigao and the said contractor. They were replaced already,” Caturla stressed. BUTUAN CITY, July 18 (PIA) - A total of 640 new police recruits took their oath of office at the Police Regional Office 13 (PRO13) parade grounds Saturday. Chief Superintendent Rolando Felix, PRO 13 director, administered the oath of office of the recruits following their presentation by Senior Inspector Venus Nelmida, OIC Chief of the Regional Police Personnel and Human Resource Development Division (RPHRDD). Felix said of the 640 new police recruits, 481 are males and 159 are females. All were given the rank of Police Officer 1 (PO1). The new police personnel were chosen after a tough screening process conducted by the Regional Screening Committee on Recruitment. After their oath-taking, the new police recruits, which will be divided into two, will further undergo one year training at the Regional Training School 13 in Lipata, Surigao del Sur and Silang, Cavite. “You took the oath and finally joined in the ranks of police officers. Remember that an oath of office is the mortar that binds us to the foundations and provisions of our government. Since you entered the realm of law enforcement, you have opted to follow a higher standard of integrity and conduct. Let us therefore make this as our stance– what is right must be kept right; what is wrong must be set right,” the director said. Felix further advises the young policemen and policewomen that “you will have an authority granted to you as an officer. Be careful that you always use it wisely and well." BUTUAN CITY, July 18 (PIA) - Bit-os Elementary School (BES), a 15-teacher school with 468 pupils of the city bagged a major award in the recently concluded 2016 Division Search for the Brigada Eskwela Best Implementing Schools. BES garnered 4th place for the 2016 Division Search for Brigada Eskwela Best Implementing Schools small school category and top 20 schools elementary level for the 2016 Division Search for Most Prepared Schools. Other elementary schools that received the awards for the Brigada Eskwela best implementing schools were: for the small schools, Villa Kananga ES (1st), Bugabus ES (2nd), Amparo CES (3rd), Doongan ES (5th), Banza ES (6th), West Central ES (7th), Alviola Village CES (8th), Silad-Mahogany ES (9th) and Taligaman ES (10th). On the other hand, Ong Yiu CES bagged 1st place for large schools followed by Obrero ES (2nd), Libertad CES (3rd), JT Domingo CES (4th) and Maon ES (5th) and Butuan CES for exceptional schools category. For the secondary schools, Alviola National High School (NHS) ranked 1st in the small schools category followed by Lumbocan NHS (2nd), Agusan Pequeno NHS (3rd), Butuan City Comprehensive HS (4th), Pedro Duncano NHS (5th), Ampayon NHS (6th), La Soledad NHS (7th), Bilay NHS (8th), Anticala NHS (9th) and Cabcabon NHS (10th). Furthermore, Taligaman NHS ranked 1st in the large schools category followed by Banza NHS, Libertad NHs and BCSAT respectively while Agusn NHS for the exceptional schools. The composite evaluation teams came up with the following observations during their rounds for the Search for Brigada Eskwela Best Implementing Schools such as non-observation of proper protocols, incomplete reporting, non-observance of correct format/template of reports, non-classification of diverse volunteers, delayed submission of school reports to name some and they recommended to use proper format/templates, on-time submission of reports, protocol observation, consistency of reports and all schools were required to submit the documents with no exception. DAVAO CITY, July 18 (PIA) – More than 100 participants from the Brunei Darussalam Indonesia Malaysia the Philippines East ASEAN Growth Area (BIMP-EAGA) convened here Monday for a forum aimed to develop a more globally competitive workforce for the sub-region. Dubbed as the 1st BIMP-EAGA Technical, Vocational, Education, and Training (TVET) Forum, the international event gathered a pool of experts from the human resource industry and key government officials as they mapped out possible strategies designed to further strengthen technical knowledge and skills training among the sub-region’s workers. Secretary Luwalhati Antonino, chairperson of the Mindanao Development Authority, said the event is crucial in elevating the level of human resource development currently existing in the BIMP-EAGA, especially with respect to the increasing demand for more skilled workers that can compete in a global scale. “With the enabling policies in place within BIMP-EAGA and the ASEAN, such as the Mutual Recognition Arrangements for the services sector, this forum will provide us with the venue for the discussion of strategies in producing more internationally accredited workforce who will form part as the backbone of the sub-region’s skilled human resource,” Antonino said. The conduct of the forum was finalized during the BIMP-EAGA Strategic Planning Meeting in February this year, through EAGA’s Socio-Cultural and Education (SCE) pillar. Formally established in 2014, the SCE was pushed by the Philippines to specifically promote a “people-centered” regional cooperation within BIMP-EAGA through opportunities that can enhance the innate skills of the working force. Aside from convening experts across BIMP-EAGA, the forum is also aimed to facilitate the adoption of “incubation centers of best practices” for specific industries that a member country espouses as “information hubs” that can be easily accessed by everyone. The Philippines has been identified as an incubation center for agri-based industries. Antonino said the event is a great way to strengthen partnerships among BIMP-EAGA member countries, particularly in generating employment opportunities. “This is also a good avenue for us to align our initiatives with the overall goals of BIMP-EAGA as a sub-economic cooperation. While accelerated trade among member countries is still the primary vision of BIMP-EAGA, partnerships in jobs creation can also flourish within the sub-region through this initiative,” she added. The 1st BIMP-EAGA TVET Forum will run from July 18 to 19, 2016 at the Regional Training Center, Korea-Philippines Vocational Training Center (RTC-KPVTC), Tibungco here in this city. SURIGAO CITY, Surigao del Norte, July 18 (PIA) - The province of Surigao del Norte is experiencing tourist arrival increase in the last three years. The increase, per record, averages 10 to 12 percent annually for the last three years. According to Provincial Tourism Coordinator Arturo Cruje, this has been attributed to the increase in the number of accommodation facilities in the city and Siargao Island, and the strengthened tourism marketing and promotions campaign. Based on the data released by the Department of Tourism (DOT), the province has the most number of foreign arrivals and foreign residents among the provinces and cities in Mindanao. "So much pressure is placed on the host communities and the provincial government. Peace and order, and security of the foreigners are the utmost concern," Cruje said. BUTUAN CITY, July 18 (PIA) - The Regional Public Safety Battalion (RPSB) 13 in partnership with the Office of the Civil Defense (OCD) Caraga and the city government here spearheaded a fun run dubbed as "Run for Peaceful and Safer Butuan" early morning Sunday. Chief Supt Rolando Felix, Police Regional Office 13 director and Manuel Luis Ochotorena, regional director of OCD-Caraga led the activity. Felix said the fun run is an advocacy highlighting the importance of peace and safety and calling for everyone’s participation in achieving more peaceful and safer communities. More than 1,000 runners attended the fun run, which started around 4:30 a.m. at Guingona Park, this city. Among the winners were: Elmer Bartolo (1st place for 21k Male Category) and Michelle Aclo (1st Place for 21k Female Category); Juneil Languido (1st place for 10k Male Category) and Melody Perez (1st Place for 10k Female Category); CJ Sandinao (1st place for 5k Male Category) and Geniecel Saballa (1st Place for 5k Female Category); and Ruel Algufera (1st Place for 3k Male Category) and Weyalyn Puro (1st Place for 3k Female Category). SURIGAO CITY, Surigao del Norte, Hulyo 18 (PIA) – Ang probinsya sa Surigao del Norte mipahigayon og usa ka Mining Stakeholders Meeting bag-ohay pa lamang didto sa buhatan sa gobernador ning dakbayan. 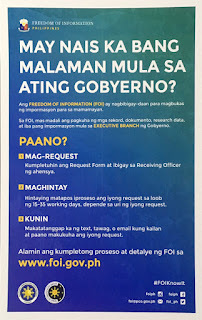 Ang maong meeting gipangulohan kini ni Gobernador Sol Matugas uban ni Kongresista Fransico Matugas uban sa mga kadagkuan sa minahan dinhi sa probinsya sama sa Hinatuan Mining Corp, Taganito Mining Corp, Taganito HPAL, Platinum Group Metals Corporation, Adnama Mining, Greenstone Mining Corp. ug Silangan Mining Corp, mga board members sa lalawigan ug kadagkuan sa MGB ug DENR. Atol sa maong panagtagbo gipresentar ni Mines and Geosciences Bureau (MGB) 13 regional director Alilo Ensomo ang status report sa Large Scale Mining Companies dinhi sa probinsya samtang si DENR-CENRO Roel Efren mipahayag mahitungod sa Reforestation Activities sa mga Minining Companies dinhi sa probinsya. Ang matag representante sa mga kumpanya sa mina usa usa usab nga mihatag ug status report mahitungod sa ilang mga plano ug programa sa pagsunod sa pamaagi sa responsableng pagmina. Ubay ubay ang mga issues and concerns ang napadayag sama na sa problema sa siltation sa lungsod sa Claver, non- payment of business tax, fish kill sa Lake Mainit, problemssa mga Lumad mahitungod sa ilang royalty income ug uban pa.